After Tokyo 2020 promo video was introduced at the Closing Ceremony of the Olympics in Rio, there were some rumors about the pictograms design. A number of creatives stuck to an idea they would conserve some of Nintendo aesthetics since the video was imbued with it. However, the team headed by Masaaki Hiromura has chosen another source of inspiration. The Games held in 1964 in Tokyo went down to history as the first ones where the pictograms were used. They were designed with straight lines and precise circles to attain simple and beautiful appearance. Masaaki Hiromura spent two years to remaster the motives by adding fluidity and motion. So that’s right what the Tokyo 2020 pictograms are about: a combination of dynamic beauty and respect to the pioneers of the Japanese design industry. I hope that these pictograms will inspire everyone and help generate excitement for the different sports at Tokyo 2020. 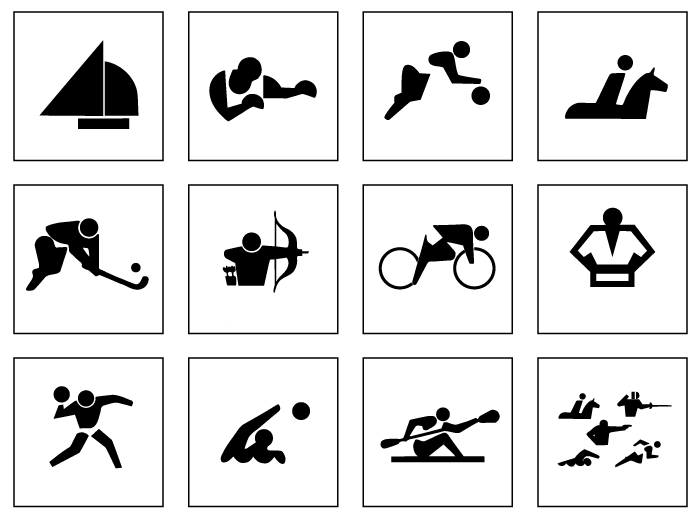 The set includes 50 pictograms for 33 sports on the 2020 Olympics programme, which means there is more than one pictogram for some sports. They will follow the Games in every medium: from the website and tickets design to the official printed production and souvenirs.